There’s a problem with the way we track our weight loss: it takes too damn long. You don’t really know whether you’re on the path to success until you get there, which means it’s extremely easy for a whole lot of people to get deterred and give up. Humans are creatures of habit. Once we settle in on our routines it’s difficult to get us to change, yet so many fitness devices and health initiatives are all about doing exactly that. You’ve seen it: Take a couple minutes from your day to clear your mind, or stand up and walk around for a bit. Change is hard though, we don’t do it unless we see and feel absolute proof that it’s for the best. LEVL thinks it has a solution with its breathalyzer. 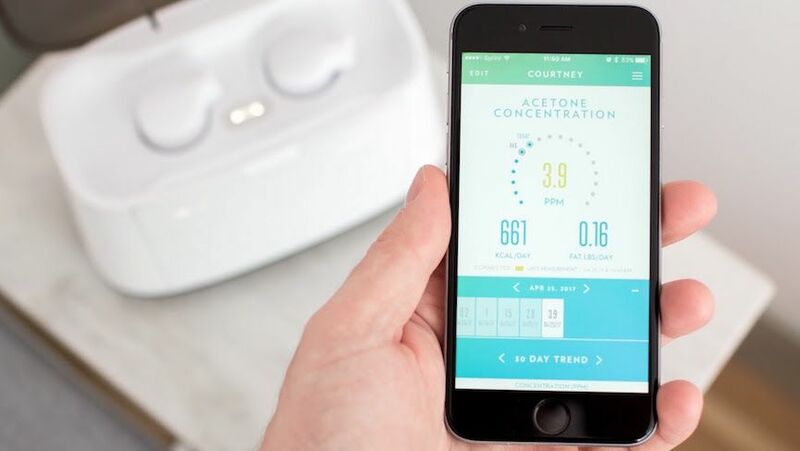 It works like this: After calibrating the device with acetone-infused air, you breath into it daily so that it can read the acetone level in your breath. If it’s higher than two parts per million you’re burning your stored fat. If it’s less than two, you’re burning the food you’ve eaten through the day, not losing any actual fat. We actually got up close with the device back at CES this year. We spoke to Brent Hixson, president and CEO of LEVL. He told us how LEVL plans to change how you look at fat loss – and why behavior change is so hard. Hixson points out that everybody has an individual reaction exercises and nutritional choices, and that what works for one person doesn’t work for another. That’s why the company calls itself “diet and exercise agnostic”. When people do try a workout routine or a diet and it doesn’t work for them in the same way it works for another person, they give up on it. If you’re trying to make people change their bad habits for the better, whether that’s taking a couple minutes to improve mindfulness or to stand instead of sit, there can be a difficulty in proving that it actually matters in a way people can see, Hixson explains. “If you can confirm ‘look, if you don’t follow [your workout / nutrition plan] it’s going to hurt you’ or ‘when you do follow [that plan] look [your results] keep going up or you maintain it’ that’s what I think we really need for behavior change,” he says. It’s the same argument for continuous glucose monitoring on wearable devices. If people could see what a can of soda does to their sugar they’d be less inclined to drink as much. Of course, LEVL isn’t a continuous monitoring system. It sits in your home and you breathe into it daily, preferably in the morning, and you have to wait 10 seconds to see the results. That ability to change behaviors isn’t limited to regular users at home, it also applies to professionals. LEVL has a Pro service that allows doctors, nutritional coaches and trainers to see the levels of their patients or clients. When talking to professional trainers, one of the things LEVL learned was that a lot of them worried about their customers lying to them. Trainers are focused on customer retention, and sometimes when some customers aren’t committed to exercise or nutrition plans, a select few will pretend they’re doing everything they’re being asked, instead blaming the trainer for the lack of results. That isn’t as easy to do with something like LEVL, because a coach or trainer can keep track of their acetone levels daily. So when someone becomes human and has a fun night out or a cheat day, the coach or trainer can adjust the workout to compensate for that. Or can explain how that donut or pizza impacted their diet. It’s hard telling people to breathe into a device and then learn whether they’ll lose weight or not, it sounds too good to be true. And Hixson is aware of that. 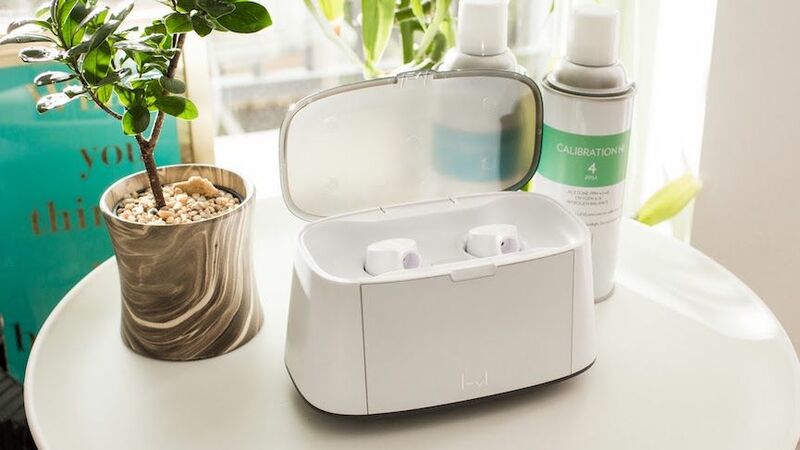 The basic science behind the devices found its footing when founder Brad Root’s wife was trying to lose baby weight after their third child. Root and his wife wondered whether there was a better way to find out whether she was losing weight or not, and they happened upon the link between fat loss and acetone in the breath. A 2002 study in the American Journal of Clinical Nutrition said that breath acetone is a reliable indicator of ketosis, while a 2015 study in the Nutritional Journal backs up acetone as a biomarker for ketosis. Hixson says it’s a metric scientists have known about for 50 years, but there wasn’t a convenient way to measure it. The company has been developing that sensor technology for the past couple of years, achieving FDA registration in December. LEVL compared its measurements and ability to measure acetone levels up against a mass spectrometer, gaining thousands of data points that Hixson says confirms the science is legitimate. The company also hired Joe Anderson, Ph.D, who has spent his career studying breath, early on in the process of developing the device. He also wrote a review of acetone as a measure of fat loss for the Obesity medical journal. In the end, all of that science will peel away as the only thing LEVL truly has to prove to its users is the company’s entire mission in the first place: Giving people nearly real time proof that what they’re doing is working, and that they’re on the path to success. Thanks for your visiting on this page LEVL CEO on changing behavior and the way we look at fat loss, We hope this post can be a good reference for you and provide useful information for you :-).